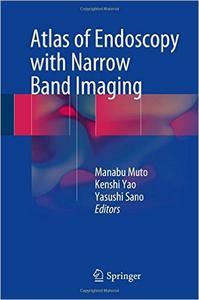 With its focus on narrow band imaging, this book is an excellent reference for new as well as experienced practitioners in the field of endoscopy. Narrow band imaging has brought about a revolutionary improvement in diagnostic endoscopy, enabling objective diagnosis and precise detection of lesions. It has enhanced the capability of endoscopy to facilitate qualitative diagnoses for the great benefit of patients who undergo endoscopic examinations. However, a standardized system of classification has not yet been established and many clinicians and researchers are not yet highly skilled in utilizing the technique or interpreting the images that are produced. This atlas addresses those issues, providing clear, simple and easy-to-understand descriptions illustrated with generous use of endoscopic images.